I am a planner and To Do lists girl but the truth is, I am really bad at keeping up with normal agendas. I find them quite boring and limited so I was never the kind of person that every year would have a new agenda but yet would buy a normal notebook and just create To Do lists as or when needed. 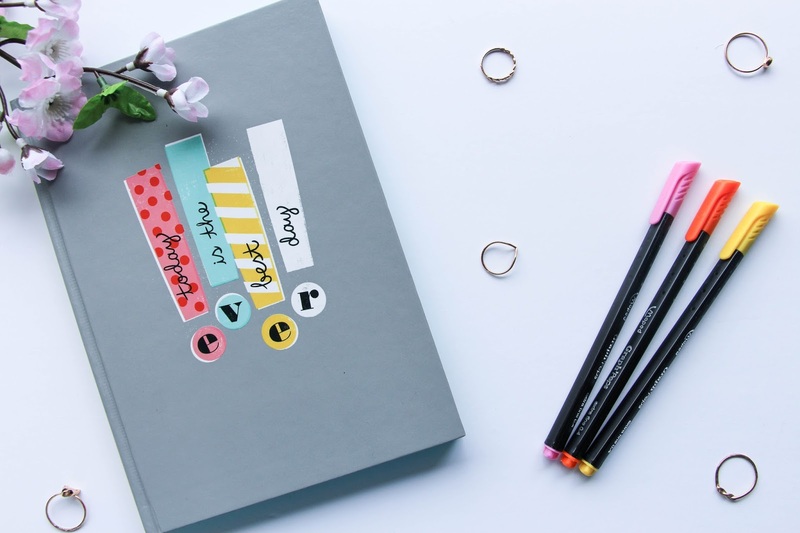 A couple of weeks ago I heard about the bullet journal, a system created by Ryder Carroll, and I literally fell in love with the idea and how it could be anything that you wanted – the complete opposite of boring or limited! I can’t really explain you the system itself but if you visit the official Bullet Journal Website, you will understand it completely. Loving the concept of the Bullet Journal, I went ahead and searched for some YouTube videos to find inspiration and completely understand the system. I found some amazing bloggers and YouTubers that make this Bullet Journal thing look even more amazing and exciting. The one I fell in love with was Kara from Boho Berry. Here is a flip through of her Bullet Journal, I bet you’ll love it. The beauty of bullet journalism is that you can do whatever you want with it to make your life as easy and productive it can be. There are specific notebooks you can buy that are appropriate for bullet journalism but in my opinion, any notebook will do. 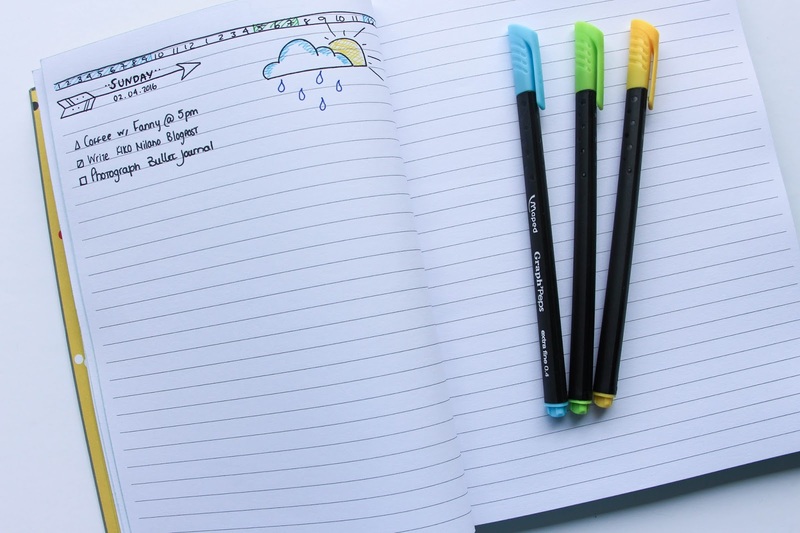 Anyways, on Amazon you can buy the Official Bullet Journal but if you don’t know if this system will work for you, I would recommend buying a normal notebook and .. get creative! 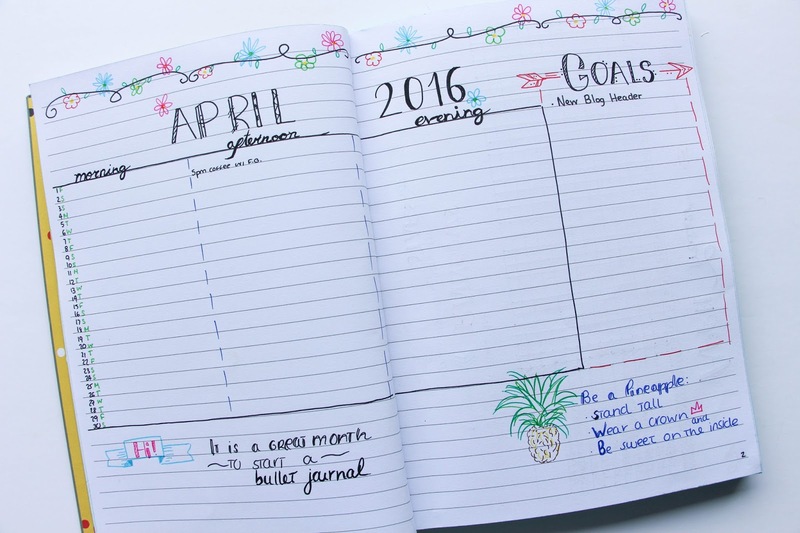 To start off, it is great if you have an idea of what you want your bullet journal to consist of. I really wanted mine to be a kind of agenda where I could plan my day but also to include some more personal and even blog related things that would help me be more productive. 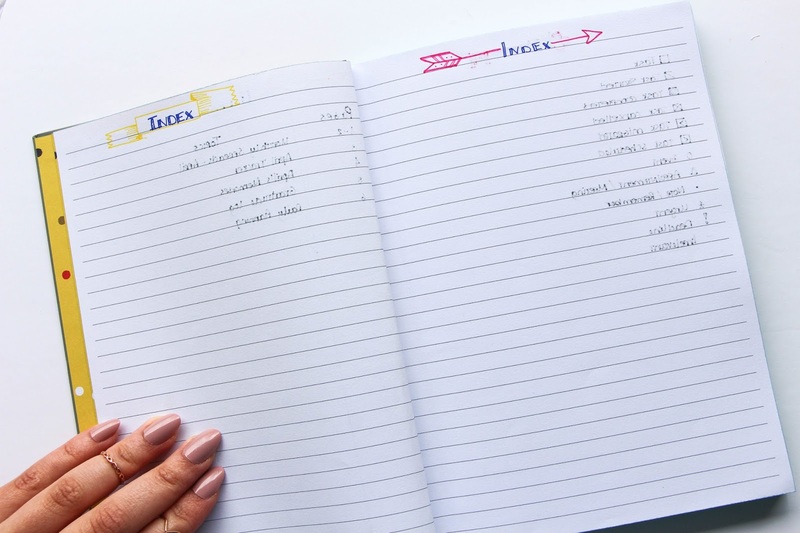 Knowing what modules you want to have in your Bullet Journal, you have to add page numbers to be able to create an Index so you don’t get lost in the way. The other essential on a bullet journal is this key section. With this, you will be able to set tasks, notes or events either on your monthly spread or daily planning. These are divided into two: bullets, were you have a symbol for your tasks, notes, events, and signifiers, the ones that will tell you the importance of that task, event or note. Once you get used to this system, bullet journalism gets even better! Now, let’s talk about the “Modules”. Modules are designed to help collect and organize specific kinds of entries. 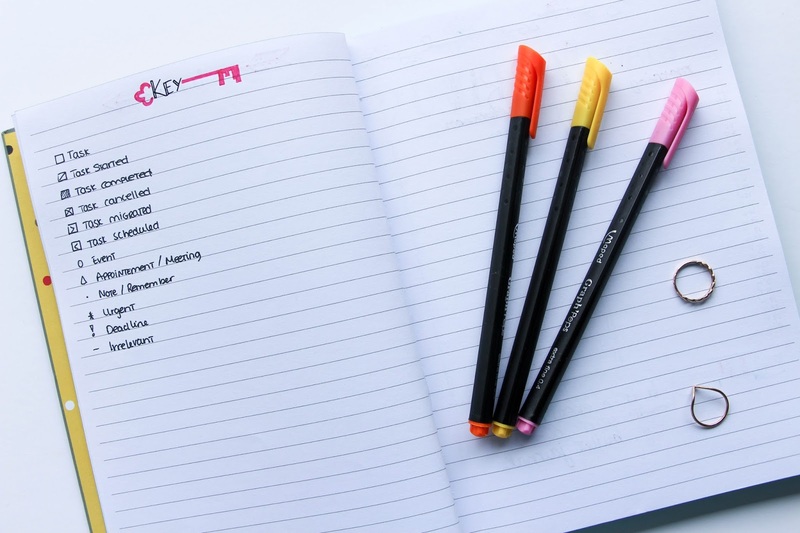 There are at least four specific modules that you should include in a bullet journal but really, it is up to you and what works for you. What really happens is that people are creating their own modules according to their needs and that is what is great about the Bullet Journal. The four core modules are: the index, the future log, the monthly log and the daily log. I completely “ignored” the future log as I would not really give it much use so, after the index and key, here are the modules that make part of my bullet journal. Keep in mind that I have watched a lot of videos and blog posts about bullet journalism and so a lot of the modules are inspired on them! Blog + Social Media Stats | I created a page where I could keep on track of all my blog and social media statistics. This will not only able a better control of my stats but will also motivate me to work harder every day, every month. Monthly Spread + Goals | As seen in the photo above, this will be used to take note of any important stuff I have to do or remember for that month. I also added a little goals section that I love. Again, it gives me that extra motivation to work hard to achieve my goals. Monthly Tracker | There are specific things that I want to do everyday and instead of repeatedly write them when doing my daily planning, I added this monthly tracker where I list simple everyday things that I will keep track off and hopefully encourage myself to do them more often. These include for example, hydrate, moisturize, schedule tweets, etc. I find that this really helps me to not miss certain daily, important things. Memories | In this section I will add nice memories that happened during that month so I can look back in the future. Can’t wait to start filling this in! Gratitude Log | This has to be my favourite module! I am an apologist that we need to appreciate the little things in life much more. Things that we take for granted without even noticing are definitely the best things in life and this module reminds me of that, always. So everyday when in bed, I add a little sentence for that day where I say one thing I am grateful for. Can’t wait to look back at the end of the month. Daily Plan | Of course this is very straight forward. A module where you plan you day in a short, easy way with the help of the keys created previously. I always plan my day the night before, filling in some tasks or reminders and I love how this works for me. I like to personalize it with the weather and kind of a timeline at the top to track my sleep and free time. This one is definitely inspired by Kara from Boho Berry. Love her! Expenses | I only added this module a couple of days ago and I know I will have a love-hate relationship with it. This is were I will take note of all my expenses during that month. I created a table with date, item, price and also asking myself “did I need it” and this will really tell a lot about how I manage my money at the end of the month. To make it easier and also much fun, I color coded the different categories (clothing, rent, travel, groceries, etc). I am thinking of reporting back to you in a post at the end of the month if the results aren’t a bit too embarrassing! Let’s see. And this is it! A quick flip through my bullet journal. There is still a lot to add and build to make it something special and inspiring for me but I can tell you that this was a great start. My calligraphy and doodling skills are definitely not something to envy but this bullet journal is giving me the opportunity to improve that and get much more creative and I am thankful for that! 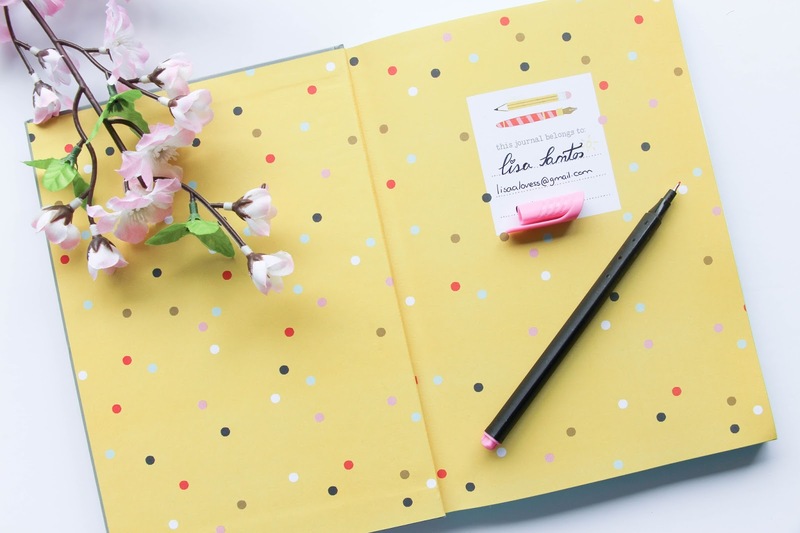 I hope I have helped you in some way to guide you on how to start your bullet journal but believe me – there are no rules and the secret is to be creative and to fulfill your needs! When are you going to start your bullet journal or if you already have one, any tips you would like to give to all the newbies like me? Let me know!